Cam-Trax lets you play any PC game you want using almost any object you can find as a game controller - you just need to have a PC and a webcam to do so. The software uses the webcam to scan the object you’re holding and then the object can be used to control your game! (See it in action here). Crazy! What’s even crazier is that I just discovered that the Xbox 360 can do this, too, but not many people know about it. The Xbox can be paired with a camera and through XNA, casual game designers can experiment with their ideas. In fact, here are a couple of videos of people doing the machine vision thing with their Xbox: video 1, video 2. Want to give that a try yourself, this guy documented some of the techie details on how to access the elusive camera frame buffer. The documentation is available as a download here. Now, who’s got a machine vision system that works with XNA? 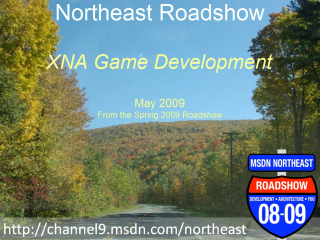 XNA Game Studio - Your world, your game. Games on your Zune!?! What? How? When? 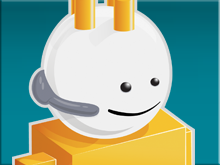 Game Developers Conference - a total success!